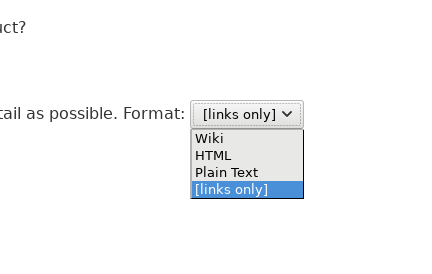 > > options are wiki, HTML, plain text, and [links only]. > Markdown as a formatting option can be added by configuration. It only shows Wiki, HTML, Plain Text, and [links only].